If you are one of my twelve followers, then you know that I have posted about Baconfest- Chicago several times before, I have Tweeted about Baconfest-Chicago, Instagramed about Baconfest- Chicago and pretty much bring it up to anyone who is within ear shot. There are those of you who don’t know what BaconFest-Chicago is, so here is what you need to know about the tastiest event in Chicago. 1- You have to like bacon, or click here and it will take you to pictures of beige. Because if you don’t like bacon then really, beige. 2. 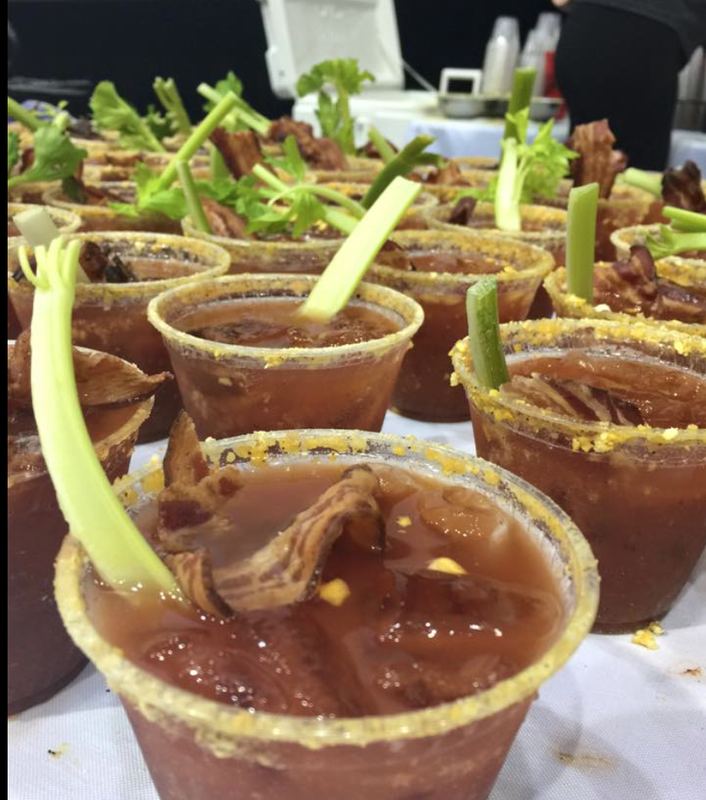 What is Baconfest- Chicago?- Baconfest is a fun-filled, walk-around tasting event featuring the most creative bacon dishes from the best chefs in Chicago. It’s more than standing in a ballroom filling your face full of strips of Nueske’s Bacon, though that is an option. 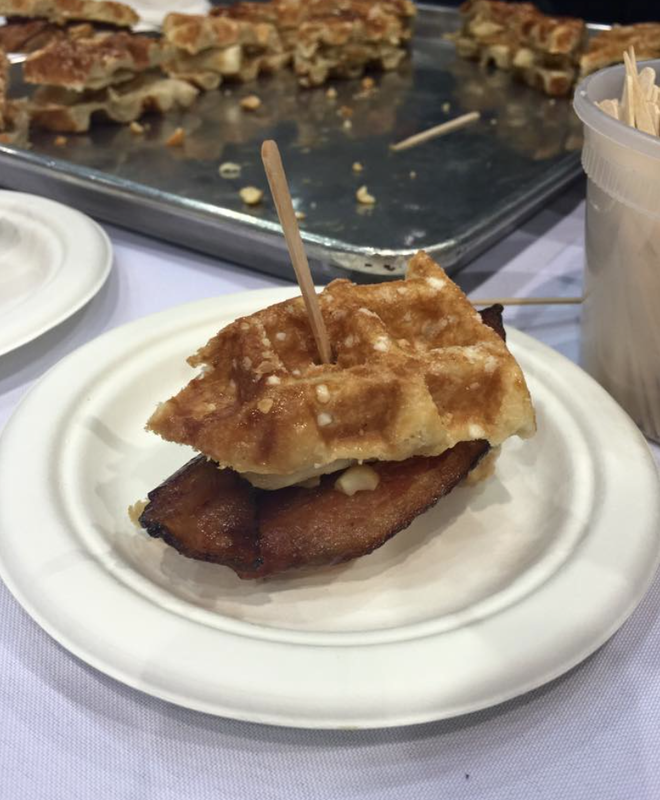 Baconfest is an amalgam ( first time I ever used that word in a post)…Baconfest is an amalgam of hottest chefs from the finest local restaurants and bacon! These chef’s prepare and serve small plates starring bacon. 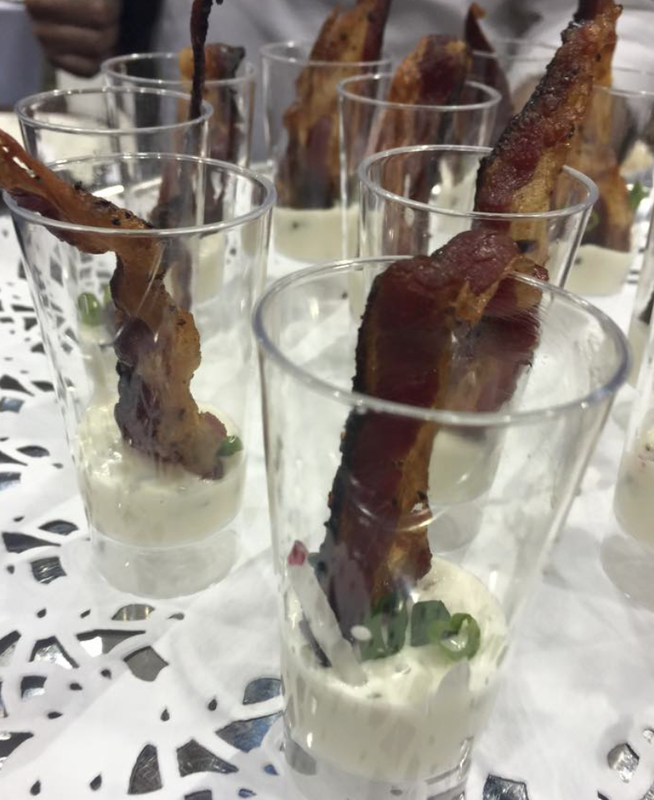 No two bacon filled stations are the same and these chef’s bring their bacon filled A-game. The best mixologists and brewers quench thirst with refreshing bacon-based and bacon-inspired cocktails and brews. Luxury brands, artisan bacon-makers, and bacontrepreneurs display, sample, and sell a multitude of local craft bacons and bacon-related products. 3- It’s more than just “fun.”- To celebrate special achievement in the bacon arts, Baconfest gives out the Golden Rasher Awards (the Oscars of the bacon world) to pro and amateur chefs as well as the winners of our Bacon arts poetry, video, song, and other contests. 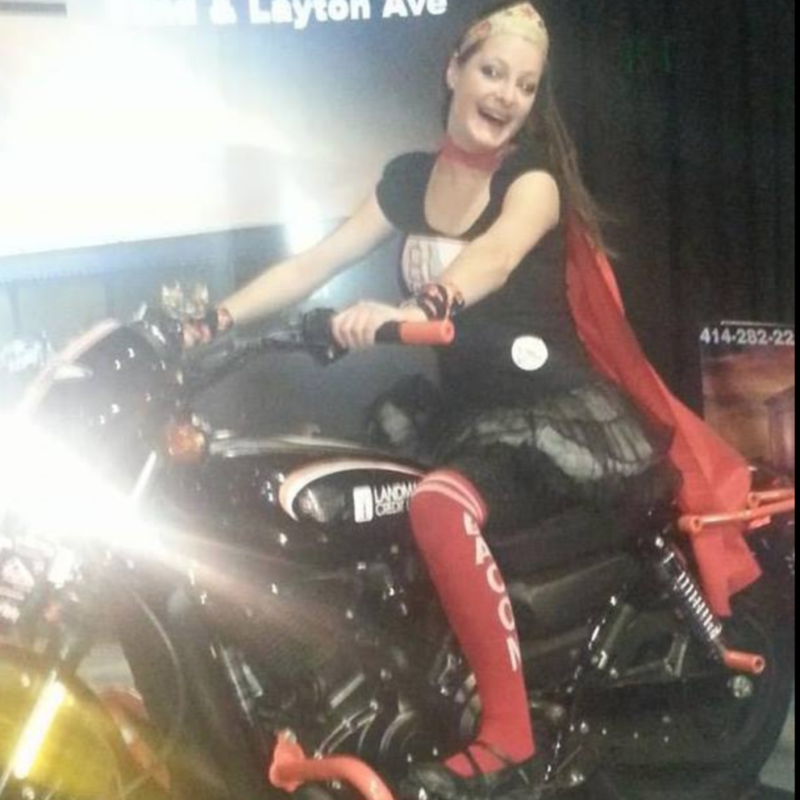 Have you met Super Bacon Lady? If you haven’t then let’s just make this one #4. It’s more than a getting your bacon filled meat sweats on. Baconfest is good for America. They donate a portion of proceeds from ticket sales, host raffles and organize sponsor matching donations to local food charities. Since 2009, Baconfest has raised over $400,000 enabling partners like the Greater Chicago Food Depository to distribute more than 1.2 million meals to hungry people in the area. This weekend, Baconfest- Chicago takes center stage at UIC Dorin Forum and now that you know the yummy facts about Baconfest, click here to get you into the tastiest even in Chicago. NOTE– Wear loose pants. Trust me on this one. My list is completely spam free, and you can opt out at any time. It’s Feld Season in Chicago. © Copyright 2019 Dad All Day. Newsroom Theme by WPBandit.